I really adore colors, but sometimes it’s fun to do something different. Like a collage using black and white images. This one is called Nuts about you. It also pictures my total fascination with grids and patterns. PS: don’t miss out on the giveaway! 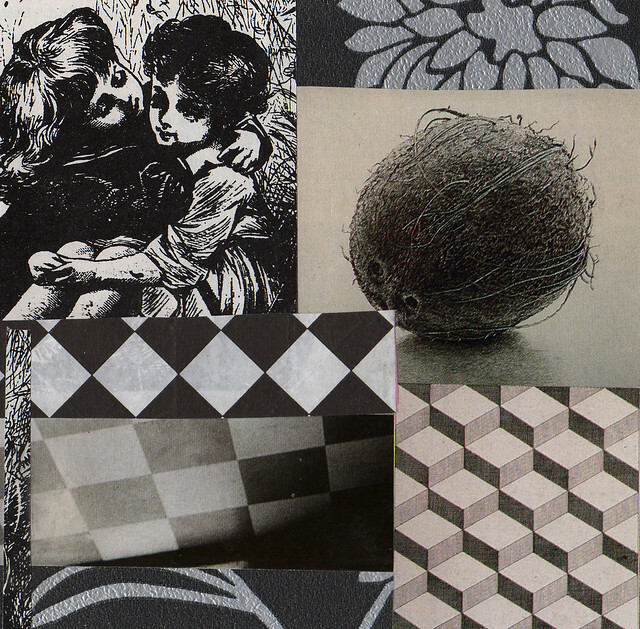 This entry was posted in Collage and tagged collage artwork, experimenting, square collage, square format. Bookmark the permalink. Nice imagery, Hanna. Black and white can be quite striking. I love how dramatic black and white can be together. The first impression is anxiety, and after fascination this collage is very successful.